This is one villain that I will never forget. She is so sickeningly sweet and wicked that she is unforgettable. All pink and catty, she is an absolute interesting character to study. 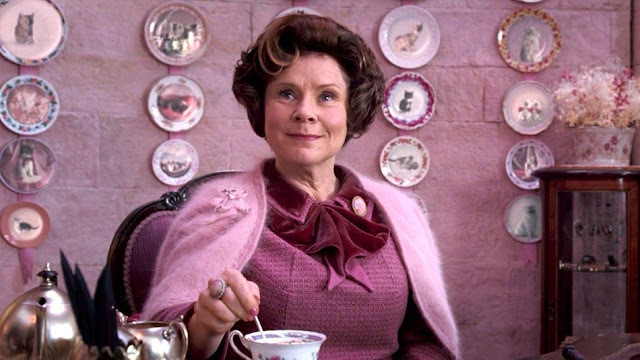 Kudos to J.K. Rowling for writing such a character and Imelda Stanton for bringing her so brilliantly to life.